This stunning quilt was made by Jenny Bowker a textile artist and quilting teacher who lived in the Middle East for many years. 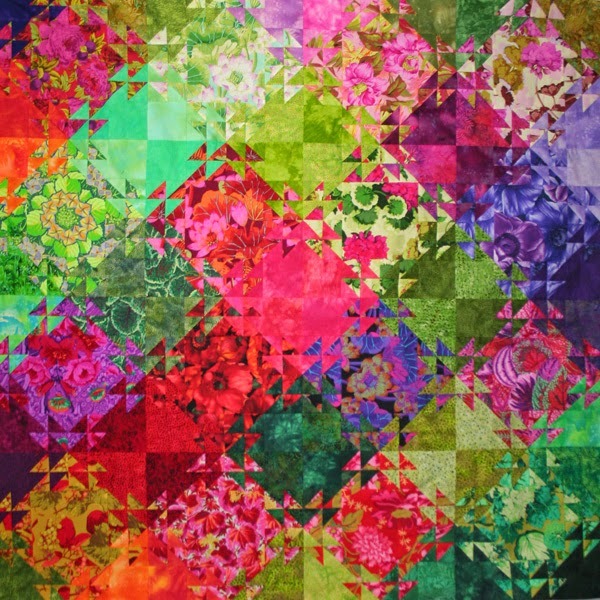 She offers a variety of classes including one for the quilt shown above: Shimmering Triangles. Beautiful. I followed Jenny's blog when she was in Egypt but have lost touch with her and her work. Good to see this shimmering quilt. Such a cool effect! It's like looking at a reflection in the water. Thank you for sharing it.